Photo: DG.com’s Keith Crosby and William Murphy III at God’s World in Detroit. Detroit Gospel.com caught up with Elder William Murphy III recently when he was in town promoting the release of his new solo project entitled, “All Day…The William Murphy Project.” He is yet another gospel artist from Detroit who is making a name for himself as one of the outstanding artists in gospel music today. We ran into him at God’s World while he was perusing their music selection and signing CD’s. 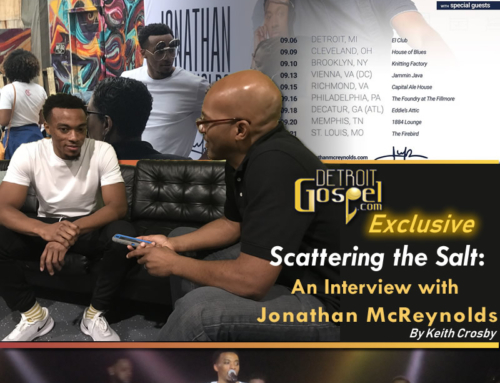 He talked about what we could expect from his new CD, the impact the chart smashing hit, “Praise Is What I Do,” has had on his career, and more. 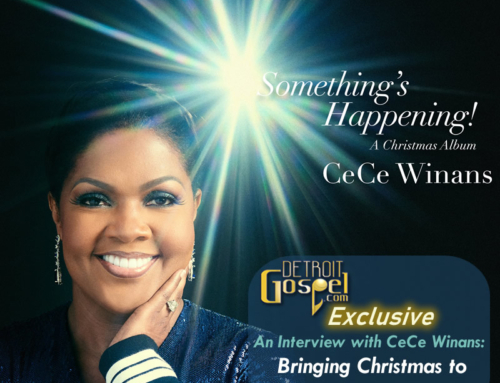 Detroit Gospel.com: How does it feel to be back in Detroit? CLICK HERE to hear William Murphy III answer in his own words. DG.com: How did “Praise is What I Do” impact your career and ministry? DG.com: Who were some of your biggest musical influences? For more information on William Murphy III check out his website at www.williammurphy.org. Click to Buy Online >>All Day…The William Murphy Project – Available at God’s World in Detroit, other national retailers, and online at Amazon.com.